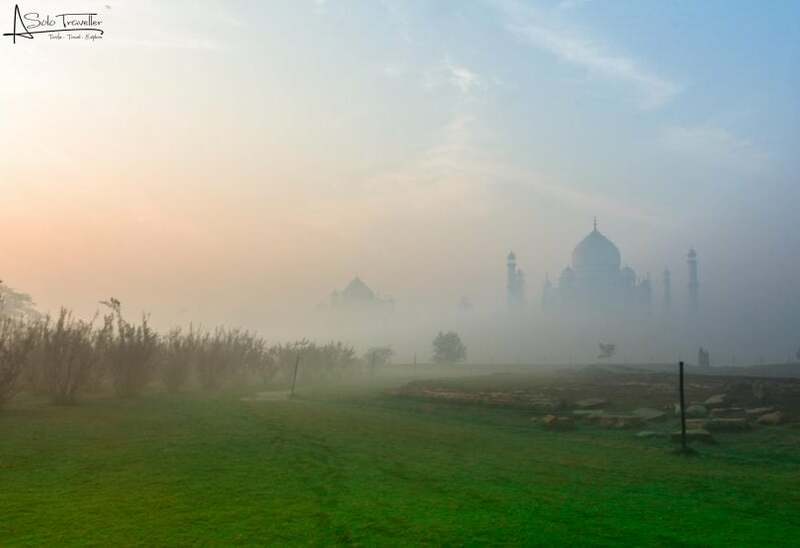 Taj Mahal during sunrise on a foggy morning of December 2016. The pic taken from Mehetab Bagh area. The magical beauty of the Taj Mahal draws travellers to Agra like moths to a wondrous flame. This medieval city located on the banks of River Yamuna is one of the most visited place for history and architecture lovers. But the Taj is not a stand-alone attraction for people living in Agra. If you are looking for some great destinations around Agra for road trip, then your search ends here. Here is a list of the 10 road trips from Agra under 4000 rupees that you just can’t miss. Mathura – Known as the birthplace of much loved Lord Krishna, Mathura is situated on the bank of River Yamuna. This popular town lies at 58 kms from Agra and is also known as ‘Brij Bhoomi’ or ‘Shri Krishna Janmabhoomi’. The city has numerous small and big temples along with 25 ghats along Yamuna River. A road trip to Mathura is typically coupled with a visit to Vrindavan and Govardhan parikrama, another town where Lord Krishna spent his childhood days. Seek the blessings from the Lord by planning a budgeted trip to Mathura. Aligarh – Located at 90 kms from Agra, Aligarh is one of the popular cities in Uttar Pradesh. This city is well known as the seat of Aligarh Muslim University (AMU). If you are visiting Aligarh, then must purchase its famous gajaks, sohn-papdi and biscuits. The major attraction of the city is Aligarh Fort and Jama Masjid also called Sir Syed Masjid. A short trip to this historical city of Uttar Pradesh will be easy on your pocket. Etawah – Set on the banks of Yamuna River, Etawah is blessed with the splendid natural beauty. This beautiful city lies at a distance of 123 kms from Agra, and showcases a perfect blend of scenic locations, historical traditions, and colorful culture. It is also the site of the remains of the Great Hedge of India. Places such as Company Bagh Garden, St. Mary Garden, and National Chambal Sanctuary are ideal for nature & wildlife lovers. A quick getaway to Etawah will give you some sweet memories to cherish for lifetime. Jaipur – Well known as ‘The Pink City’, Jaipur is the most royal and majestic city of Rajasthan. Located at 239 kms from Agra, Jaipur is a must visit for history lovers, shoppers, and foodies. This capital city of Rajasthan is all about magnificent forts, palaces, serene lakes, and rich tradition. Jaipur can rightly be called the gateway to a culturally wealthy state. Plan a pocket-friendly road trip to Jaipur with your beloved ones. Devgarh – Devgarh or Deogarh is an unexplored beauty in Rajsamand district of Rajasthan. Situated at a distance of 513 kms from Agra, Devgarh is set in the beautiful Aravali hills. A small pond rests at its base. This city is also decorated with spectacular sanctuaries and temples such as Kunj Bihari Temple, Anjaneshwar Mahadev Temple and more. Feel the local culture of the Mewar region by interacting with the friendly locals. Plan a budgeted road trip to Deogarh and explore the magnificent Mewar culture. Sujangarh – Sujangarh is a city in the Churu district of vibrant Rajasthan. This amazing city is known for its temples, fantastic havelis and 18th-century forts. Home to pretty treasures, Sujangarh is India’s best kept secret. 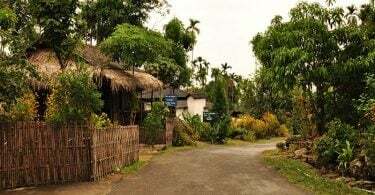 Get, set and plan a road trip to Sujangarh that shall leave you with delightful memories at the end of your trip. Gwalior – Located at 120 kms from Agra, Gwalior is a popular city which has unique and timeless examples of a glorious past. This city of Madhya Pradesh is known as the birthplace of legendary musician Tansen. People from all over the world visit Gwalior to explore the rich heritage of this former princely state such as a sandstone mosque, rock temples and fabulous statues. Are you a history lover? If yes then head towards Gwalior with your family or friends to learn about the rich past and tradition of this place. Panna – Panna is mainly known for its Panna National Park. Apart from this, Panna also boasts of being the only city with diamond reserves. Blessed with picturesque natural beauty, the city attracts a number of eco-tourists, wildlife lovers and photographers. Panna lies at 439 kms from Agra and is blessed with two really beautiful lakes namely Dharam Sagar Lake and Beni Sagar Lake. Spend some quality time with your beloved one along these serene lakes by planning a budgeted road trip to Panna. Another major attraction to visit here is Pandav caves and falls. Kausani – Kausani is a charming hill station which lies at 460 kms from Agra. 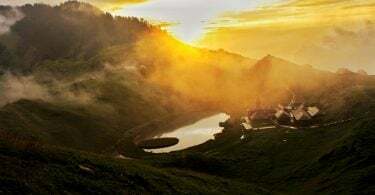 This less explored hill retreat is a paradise for mountain lovers as it offers a panoramic vista of snow-clad Himalayas. Adorned with lush green valley, verdant pine trees, and tranquility, Kausani is just perfect to escape the chaos of urban life. Set in the surreal Garhwal Himalayas, a road trip to this quaint hill station of Uttarakhand will be easy on your pocket. Haridwar – Known as gateway to Gods, Haridwar is a sacred site for Hindu devotees situated on the banks of River Ganga. Thousands and lakhs of pilgrims visit this holy city to relieve themselves of their sins and achieve salvation. Being one of the most ancient city, Haridwar is a must visit for people who love Hindu Mythology. Choose this divine city of Uttarakhand for a budgeted trip around Agra. You can also visit Rishikesh from Haridwar for yoga and adventure activities. Looking for some more destinations near Agra? Checkout the road trips you can plan under Rs.4000.